I’m having trouble starting my car on cold mornings! | Topline Automobile Inc.
Home Blog I’m having trouble starting my car on cold mornings! I’m having trouble starting my car on cold mornings. There are times I have had to jump start it. What should I do? You may need a new battery. There’s a reason why a weak battery gets killed by cold weather. Here’s the explanation: If you read the tag on a battery you’ll see there are CA’s and CCA’s. CA means cranking amps while CCA means cold cranking amps. A battery loses 50% of its CA at temps below 32 degrees Fahrenheit. That’s when the CCA number becomes relevant. Let’s say a battery has a CA rating of 600. That translates to a CCA rating around 300. Now if that same battery is weak and only putting out 400 CA, the CCA figure will be just 200 on a very cold morning. That is not enough amperage to turn over an average car or truck. 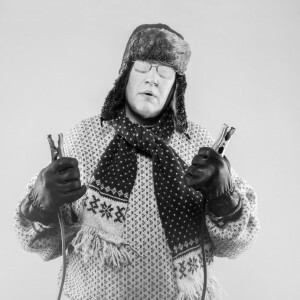 A battery will act up during cold weather due to a weak cell. If you’re having issues on some mornings, the best thing to do is to bring the car to a certified shop to inspect the battery and confirm whether it’s within the proper specification or not.